WAW-C series features hydraulic loading system and motor driving to adjust test space with exceptional load frame rigidity. 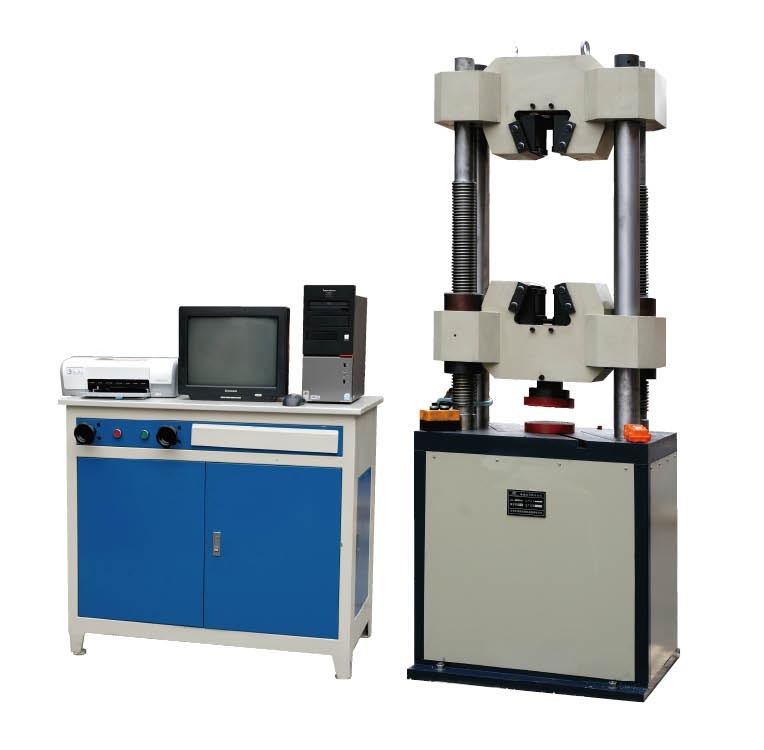 It has dual spaces for tension test, compression test, bending test and other customized tests. An adjustable lower crosshead quickly accommodates specimens of varying lengths. In the case of additional length of columns, the maximum testing space is adjustable to meet extra length specimens. Tight specimen holding is ensured by the wedge action of hydraulic operated grips. The machine is servo control and has an operating range from 300kN to 2000kN and maintains an accuracy of ±1% of the displayed load from 2% to 100% of capacity. WAW-C series is guaranteed to meet ISO6892, EN10002, ASTM E8, ISO7500, ASTM E4 and other global standards and national GB228 standards, which are suitable for tension, compression, bending and other customized tests, which need corresponding grips and special software, on materials and components such as metal rods , metal sheets , steels , fasteners , cement , concrete etc. With powerful testing software, Model WAW-C series’ systems can acquire, dispose automatically testing data, display real-time stress-strain curve, load-deformation curve, load-time curve and other related curves, at the same time, can save, output, print test report and data with customized format. The machine can be widely used in R&D department, Education, Quality control and Inspection department, calibration centers/laboratories and concerned industries etc. 6. Test report issued customized: the test report can be edited by the end user, and the report can be as format of Word, Excel, and special template.